With phones and technology getting smarter, our snacking should be smarter too! While I was growing up in India many moons ago, let alone owning a 'Snack Cupboard' there was no word like 'Snacking' or 'Snacks' in our household. Only two meals a day, a cup of chai or milk twice in a day and that's it. Only if there was a festival going on then we'd have some snacks to enjoy over that festive period. My mum never got into the habit of snacking herself and never put us into it, her mantra was 'Whenever you given food, such as lunch and dinner, fill your tummy you won't need any other food afterwards' Maybe she thought she is disciplined us kids, according to her snacking was a bad habit and seen as the opposite of healthy. There could be many reasons for her thoughts as she was a very busy working woman, never had time to make snacks at home and above all tight on money. Once I got married and settled with my husband here, my perspective on snacks changed. I had so much freedom to choose what I cook, eat etc. Then so many educating programs on the television and magazines and books came through and I realised how important smart snacking was for the health. Once I heard or read somewhere that Madonna eats seven times in a day, maybe she snacks on healthy snacks? I always encouraged my kids to eat healthy snacks such as fruits, nuts and some naturally sweetened healthy energy bars which are a great pick me up in the morning or afternoon. We try to include protein based snacking more and I always look out for foods which are packed with protein. 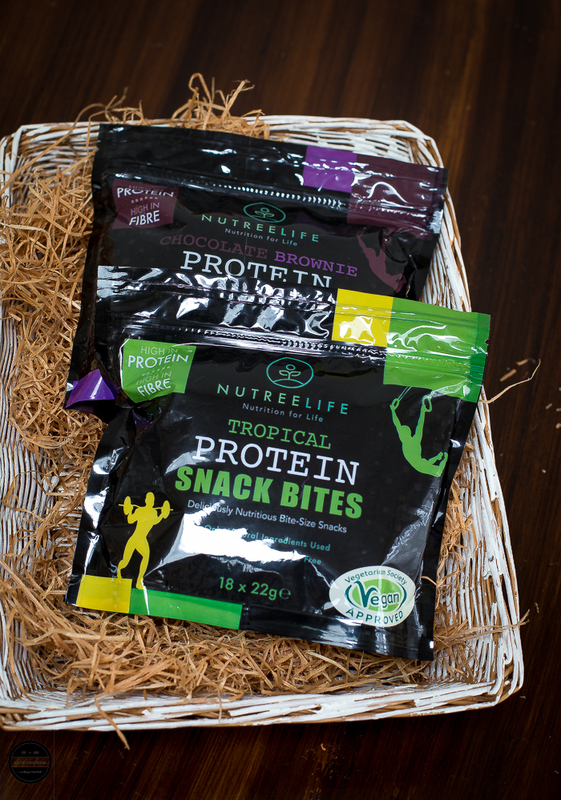 Earlier this month, family based British company Nutree life sent me packs of their vegan protein snacks to try out. 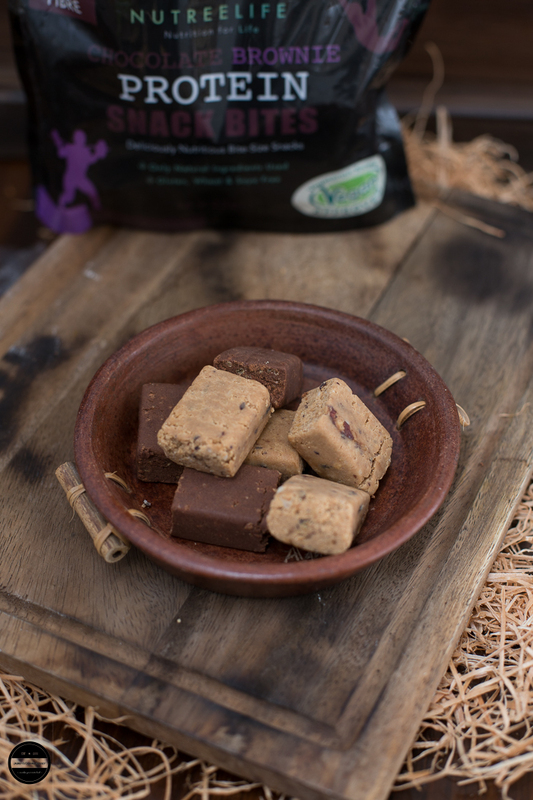 They are an innovative vegan health nutrition brand selling various protein products such as protein bites, protein bars, protein powders and burger mix. I tried out the Tropical vegan snack bites and Chocolate brownie vegan snack bites. The first thing I looked for when the bars arrived was the ingredients. The bites are jam packed with wholesome raw goodness! Plant-based pea protein, coconut oil and chicory root are some of the stars of the show. I really like the way the bites are individually packaged. I've had them for 2 weeks now and the bitesize bars stay fresh. My daughter took half of them with her to university as she is always needing to snack whilst she is out and about. As she is currently rushing to get buses and trains for her uni work, she needs to have something in her bag to keep her going throughout the day. She said it was handy to keep 2/3 of these bites with her at all times so if she felt the need to quickly eat something, then she would always have something healthy with her. Even if the trains were delayed, she'd still have something with her. We really liked both of the flavours but the tropical flavoured ones were phenomenal. They were just the right amount of sweet. The whole family can snack on them guilt-free as the bars are made with all natural, raw ingredients. Disclaimer - Thank you Nutree Life for sending us these products. 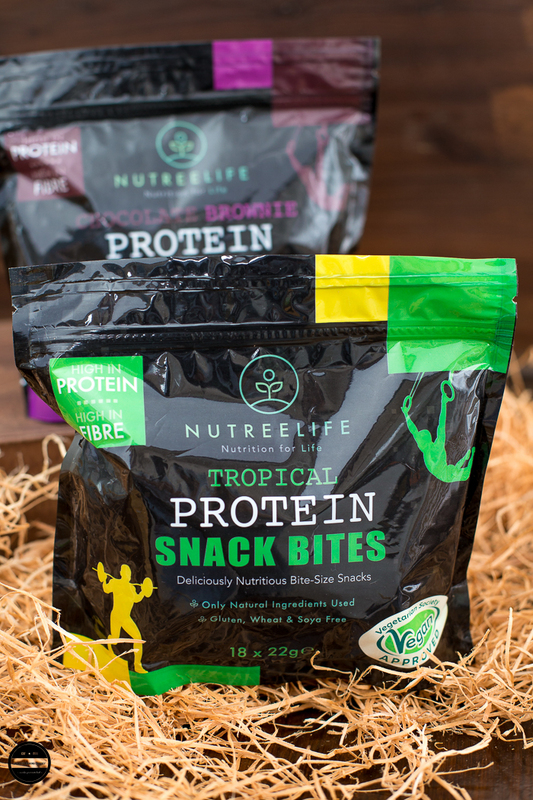 I was sent Nutree Life Vegan Protein Snacks for an unbiased review and not told or paid to write a positive review. All opinions are my own. We always have a supply of protein bars in the car when travelling. Protein shakes and protein bars are really helpful for people who are training or unwell. I haven't tried this make but they look appetising. Thanks Mina for the comment. Same goes with us too. 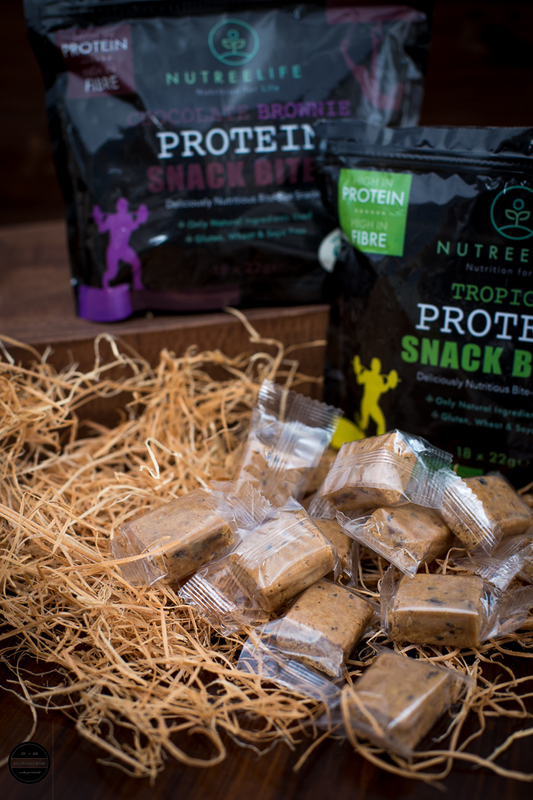 Nutree Life bars are amazing and so delicious. Wish we had access to some of the healthier snacks... I usually have to make healthy snacks at home. We grew up snacking on healthy food like banana, a glass of milk, popcorn and sometimes a leftover rotli with a bit of chevdo. Very healthy bites. Good after a workout. These little bites look delicious and as you said they are the perfect size to keep in your bag for those mid morning snacks or for that sweet craving. Guilt free and delicious too.